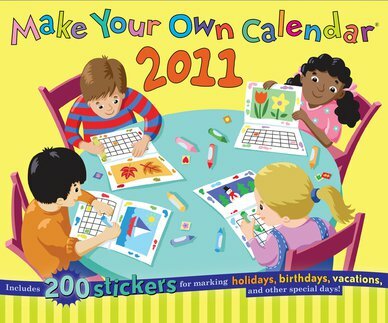 This “Make Your Own Calendar” is one of our staple items at this time of year! It makes a great add-on gift or token gift when you need something small. Kids love to color each month and put stickers on special days. Plus, it’s a great learning tool for your child to have his/her own calendar for the new year! Just 8 more shopping days left! Our shelves are full of unique toys, games, and books for the special kids in your life. From newborns to teens, we’ve got it. Come on in! We love to help you find the perfect gift. Laser Pegs have arrived in time for the holidays! This unique toy is the world’s only illuminated construction set. Imagine, create, and build… then re-build! We have 34, 60, and 72 piece sets in stock. We think they are a pretty “bright” idea! Just what we’ve been waiting for……they’re here!! You can build with them….they light up…what can they be? Stay tuned til tomorrow!! This beautiful wooden set is perfect for the toddler who likes to pretend. 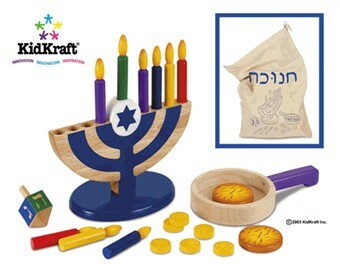 It includes a menorah, candles, a dreidel, gelt, and potato latkes, of course.